HAYLEY MILLER, a second-year undergraduate student at Boston University, is currently studying Flute Performance with Linda Toote. She is a member of the Boston Philharmonic Youth Orchestra, the Boston University Chamber Orchestra, Wind Ensemble, and the Crayola woodwind quintet. Besides performing in ensembles, Hayley enjoys solo performances and has participated in several competitions. Most recently, she was selected to perform the Chaminade-Concertino with the BPYO, this coming February. 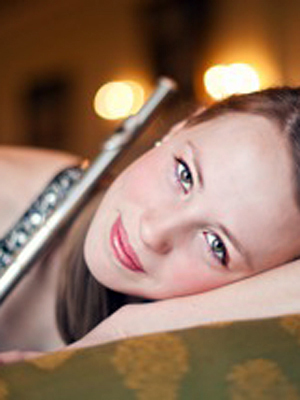 When she isn’t with her flute, Hayley enjoys running and is also an active member of the Alethia Church in Cambridge. Hayley is a member of the Center for Development of Arts Leaders (CDAL) in Boston.